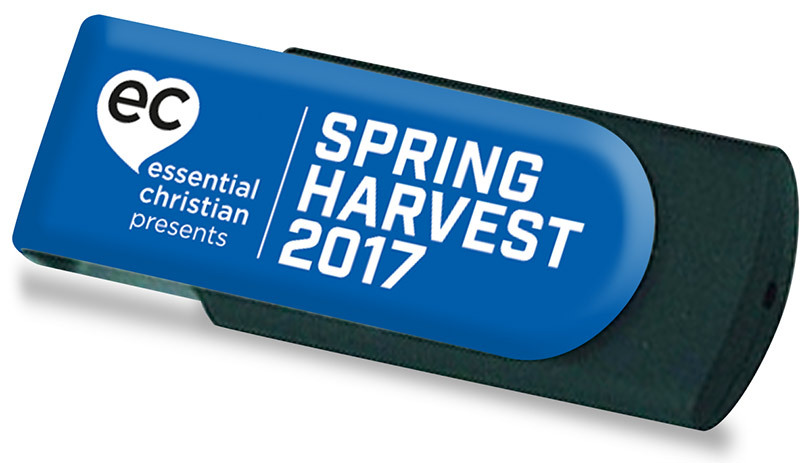 Spring Harvest 2017 SK Audio USB One For All is a talk recorded at Spring Harvest - 2017 on Multiple Teaching Themes available as USB Stick format. Inspiring, thought-provoking, challenging and informative are popular words to describe the excellent Bible teaching and talks at Spring Harvest. This USB contains hours of content recorded at Skegness and serves as an invaluable resource for small groups and individual study. The timely theme of Spring Harvest 2017 - ONE FOR ALL - focuses on UNITY. Includes Bible Teaching in audio (MP3) format from Malcolm Duncan and an array of talks from excellent speakers including Archbishop John Sentamu, Debra Green, Rachel Gardner, Pete Greig, Nick Harding, Phillip Jinadu, Cris Rogers and Christy Wimber. Be the first to review Spring Harvest 2017 SK Audio USB One For All a talk from Spring Harvest! Got a question? No problem! Just click here to ask us about Spring Harvest 2017 SK Audio USB One For All a talk from Spring Harvest.